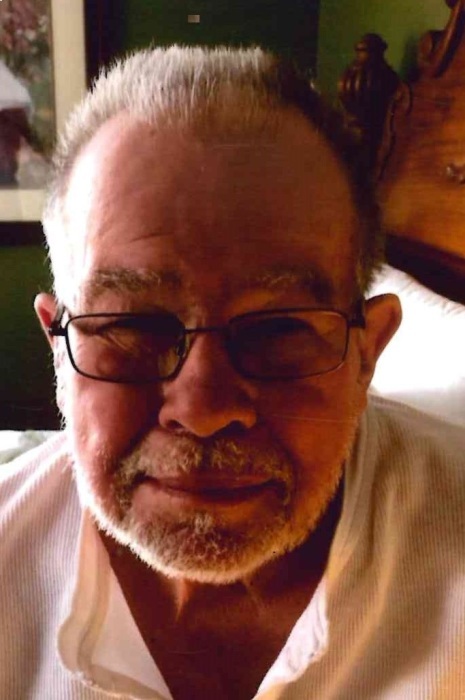 Bobby Allen Anthony, age 74, of North Little Rock, left our earthly arms for the arms of Jesus on February 7, 2019 at St. Vincent Infirmary in Little Rock, Arkansas. Bobby fought an unknown battle with A.L.S. He was surrounded by the loving presence of his wife, four children, four sisters, brother, beloved sister-in-law, Patty, and his grandchildren. Bobby was born December 5, 1944 to Elmer Erie and Parlee (Compton) Anthony in Aubrey, Arkansas. Bobby and Anita were united in holy matrimony on February 17, 1983 in Carlisle, Arkansas. Bobby was one in only a few who held pride, honesty, and loyalty in his work. His career began in North Little Rock, Arkansas in 1969 at Gulf Oil on Airport Road. He retired after fourteen years of loyal service. In 1983, he went to work at ABF where he made many friends. He remained at ABF until his retirement in 2007. He wasn’t finished and returned to Satterfield Oil of Conway to drive that big blue “Pete” that he loved, dragging a tanker over freeways and fields delivering to airports and farmers. He achieved over three million accident free miles during his career. Bobby was an antique car enthusiast and was often seen traveling Arkansas in his 1962 red Impala with his friends and brother-in-law, Rick Green, for weekend adventures. Bobby accepted Christ as his Savior on May 27, 1998 at Grace Baptist Church in Scott, Arkansas. He followed God’s command of Baptism along with his wife, Anita, on May 31, 1998. He was preceded in death by his parents; two sisters, Nola Forrest and Lula Mae Davis; a grandson, Oliver Allen Mullins; the mother of his two sons, Linda Gail (Scaife) Anthony; as well as a great grandchild, Baby Sanchez. He is survived by his wife of thirty-seven years, Anita Anthony; children, Ken (Robyn) Anthony of Leslie, Arkansas, Jason Anthony of Conway, Arkansas, Natasha Stewart of North Little Rock, Jeree’ Mullins of North Little Rock; brother, Billy (Patty) Anthony of Vilonia, Arkansas; sisters, Joyce (Norman) Barnes of Marianna, Arkansas, Carolyn (Leslie) Green of Marianna, Arkansas, Dianne Pounds of Cabot, and Linda (Clancy) Cunningham of Lumberport, West Virginia; and favorite niece Deborah Tanner of Marianna; ten grandchildren; four great-grandchildren; a bounty of nieces, nephews, and lifelong friends; as well as his loyal companion, Fred (the dog), whom he rescued from the North Little Rock Animal Shelter. A visitation will be held Monday, February 11, 2019 at Smith North Little Rock Funeral from 5:00 – 7:00 P.M. Services will be at 2:00 P.M. Tuesday, February 12, 2019 at the funeral home. Burial immediately following at Rest Hills Memorial Park. Online obituary at www. SmithFamilyCares.com.